Franklin, TN – A 21-year-old Franklin man is wanted on multiple felony charges after assaulting and kidnapping his girlfriend last night. At 11:09 Tuesday night, Franklin Police were summoned to Scruggs Avenue for a domestic disturbance. During an altercation in the yard, Corey Johnson (see June 5 arrest for shots fired on West Main) drug his girlfriend out of family’s view and pushed her to the ground. Johnson then got on top of her and began choking her – all while telling the victim that he was going to kill her. When family rushed to the victim’s aid, Johnson drug her into a vehicle and left the scene. When responding officers got behind Johnson as he was leaving the neighborhood with the victim, he began punching her in the face as she tried to escape. The victim managed to jump from Johnson’s moving vehicle during the continued assault. She was treated by paramedics at the scene. Johnson evaded officers in his maroon 2001 Ford Expedition with tinted windows and the TN license plate M1128S. Now wanted for Aggravated Assault, Aggravated Kidnapping, Evading with a Motor Vehicle, and Reckless Endangerment, Johnson remains at large. If you have information on his whereabouts, you are urged to call police. 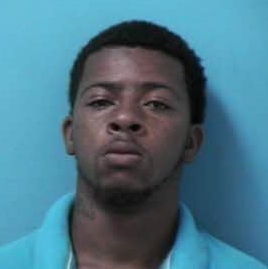 Information leading to Johnson’s capture is worth up to $1,000 with a call to Crime Stoppers: (615) 794-4000. Could you include a Facebook Share button on these posts? Great suggestion, and I’ve already taken care of it! Thanks! !